Speaking in the House of Commons yesterday about setting up an official inquiry into the phone hacking scandal, the Prime Minister David Cameron mentioned that the Culture Secretary, Jeremy Hunt, would have a ‘quasi-judicial’ role in the matter of the attempt by News International, now withdrawn, to purchase the shares of BSkyB that it does not already own. Downing Street has said the government, with the exception of Mr Hunt who has a quasi-judicial role in the final decision, will back the motion. 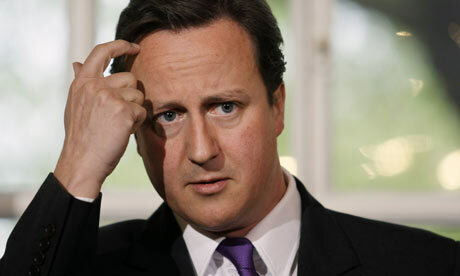 The prime minister's spokesman said the motion essentially reflected what Mr Cameron had said on Monday. He pronounced the prefix quasi- as ˈkwɑːzaɪ. This pronunciation, while by no means unusual, is interesting in that it combines in the same morpheme two different ways of treating Latin words taken into English. One is to follow the usual English reading rules (spelling-to-sound rules), which treat long vowels as having undergone the Great Vowel Shift. This is what is done for Latin words that are well integrated into English. Thus we have for example creator and major with -eɪ-, and aquarium with -eə- deriving from an earlier -eɪ-. Likewise, we have for example appendicitis and minor with -aɪ-. The word quasi ‘as if, as it were’ actually has short vowels in Latin, quăsĭ. Latin stressed short ă is normally mapped onto English æ, eg aquifer, per capita, so this prefix ought to be ˈkwæsi. But English speakers are often pretty cavalier with Latin vowel quantities in English, and even those who have studied Latin (such as Mr Cameron, who must have done it at Eton) often get them wrong. If, as is usual, the vowels in this prefix are treated as long, we should get either GV-shifted ˈkweɪzaɪ or ‘continental’ ˈkwɑːsi(ː). Dave’s ˈkwɑːzaɪ is a combination of the two. Given the further uncertainty over whether or not to voice the intervocalic s — is it s or z? — we end up with quite a combinatorial explosion of possibilities for this humble prefix. Does anyone pronounce this prefix with a LOT vowel? I've always pronounced it in the Quasimodo way - with LOT, /z/ and happY. Anyone else out there with the same habit? I say 'kwɑ:zi in uninterrupted compounds. But when I want to give contrastive semantic weight I say 'kweɪˌzaɪ. I know I have the two forms because of hearing them. I don't know whether I've also heard the distinction or whether I've unconsciously invented it. I've always said 'kwɒzi, and I actually thought that was the usual BrE pronunciation. Americans, I think, normally say 'kweɪzaɪ. I don't believe I've ever heard any of the variants with ɑ:. Actually, isn't the version with the LOT vowel the traditional post-GVS pronunciation? When did the rounding of short a to ɒ after w (in words like war, quarter, squash) happen? Around about the end of the GVS, wasn't it? NED (Craigie, 1914) had only ˈkweɪsaɪ (kwēⁱ˙səi). @Pete: "Actually, isn't the version with the LOT vowel the traditional post-GVS pronunciation? When did the rounding of short a to ɒ after w (in words like war, quarter, squash) happen? Around about the end of the GVS, wasn't it?" Of course, it hasn't happened, at least not entirely, in parts of the world not a million miles away from where I believe you come from Pete! I have the TRAP/BATH/START vowel in many of these words, although LOT/CLOTH/NORTH is also possible in formal speech. So 'war' and 'far' and 'squash' and 'bash' rhyme for me. And it's Qu[a]simodo. 'Quasi-' otherwise rhymes with 'crazy' for me though. Interesting; I've never heard aquifer with the TRAP vowel. For me aqui- has the same vowel as in "hot" (based on spelling I'm assuming that's LOT, but I'm not as up on my lexical sets as I should be). Is that a BrE/AmE thing, or have I simply missed this pronunciation here in the US? I'm guessing that you have /ˈɑkwɪfɚ/, probably influenced by Spanish "agua" ("water"), which one would likely hear as /'ɑgwɑ/ or /'ɑgwə/ in the US. In this case, although you are using your SPA-vowel*, which happens to be identical to your LOT vowel. *officially this is the PALM lexical set, but PALM is no longer a good keyword for most Americans. @Pete: I used to assume 'kwɑːziː/'kweɪzaɪ (sic) was BrE/AmE, patterning like semi- and anti-. (Well, iː/aɪ patterns, and ɑː/eɪ follows suit.) Sadly, facts are less tidy. @Warren - yes I remember you! Haven't seen you on here for a while. You're right, I also have the option of unrounded TRAP and NORTH vowels in squash and war, but only in my basilect (my "basidiolect"). The unrounded forms are highly stigmatised in Derry so the teachers do their best to beat them out of the local children. For aquifer, Funk & Wagnalls 1967 has ak′wəfər (a as in add). @Ryan: How about aquatint and aqueduct? @ Pete: This Yank says 'kwɑ:zi, like Quasimodo. The other pronunciation, 'kweɪzaɪ, sounds completely foreign and strange to my ears. I don't know if other Americans hear it the same way though. But ˈkwɑːzaɪ sounds okay to me too. I've probably said it that way before. LOT vowel followed by FLEECE vowel here. Raised in Essex with east London parents, and as far as I can remember that's the most common pronunciation amongst my friends with various British backgrounds. I've just checked in some older dictionaries and, for example, The Concise Oxford Dictionary of Current English, sixth edition, edited by J. B. Sykes, has ˈkweɪ̯saɪ̯, ˈkweɪ̯zaɪ̯ and ˈkwɑːzɪ , in that order, which is similar to Longman. I've always pronounced it ˈkwɒzi, which doesn't appear in John's dictionary. I want to say /kwɔːzaɪ/ for some reason. Would the following sequence be possible for the first vowel? Latin short "a" borrowed as [a], which is then lengthened to [aː] because it is in an open syllable, which then is rounded to [ɔː] because it follows [w], avoiding the Great Vowel Shift. I don't think your proposal is very plausible. ME long A was not generally rounded in the environment w_[nonvelar] as short A was. See "equate", "quaver", "square", "wade", "wane", "ware", "wave". "Water" is the only word that might support such a hypothesis, yet I think it had short A, was rounded, and was later lengthened from LOT to THOUGHT for unknown reasons. Don't have time to check right now, unfortunately. Astonished that LOT seems the most common pronunciation among Brits here. I'm pretty sure I'd never heard that, or even heard of it, when I left England in 1997: I've not noticed it either in the English-based podcasts etc. that I still listen to fairly regularly. Is this a recent phenomenon, or have I just missed it? I suppose it's not a word one hears often in everyday conversation! I'm also surprised at the kwɒzi pronunciation, though as someone said, I knew it was common in Quasimodo. One theory could be that it derives from Brits hearing Americans say kwɑzi and transforming that into kwɒzi. Personally I'd say kwæzɪ in Quasimodo, but kweɪzaɪ most other places. Of course, Quasimodo should be kwəˈzɪmədəʊ or kwəˈsɪmədəʊ really!